The Monster is finally here! Long rumored, occasionally seen at trade shows, Castle’s elusive 1/8th scale Monster Brushless ESC is finally available to the public. 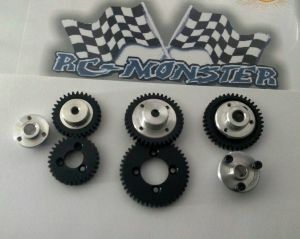 Castle has used all of their tricks to deliver stunning power for monster trucks and 1/8th buggy conversions. Monster is designed to keep its cool while it pounds your truck. Castle refused to cut corners on the design or the components, the electronic and thermodynamic fundamentals are right to begin with. Castle then wrings a bit more power out by using a high efficiency heat sink PLUS an integrated cooling fan to make sure you finish the race. Thermals are for the other guys. 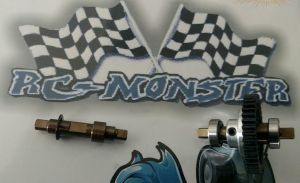 Monster ESCs come with huge 6.5mm gold plated bullet connectors for reliable power transfer and simple installation. We’ve even thrown in a USB adapter so you can tame the Monster by adjusting the really useful settings using your Windows PC. They are on the way, honest! The long wait is nearly over. You don’t want to know how many prototype motors we’ve tortured in the testing of this Monster. The work has all paid off with these incredible motors. Based on Steve Neu’s awesome 15 series motor, the Neu Castle 2200 and 2650 are works of mechanical art. They both feature high quality bearings and Neodymium magnets, superior electromagnetic design, and rigorous engineering control in our own factory result in a Monster motor we can put our name on. Two choices are on the way. 2650 KV – Intended for 4S (16.8 Volt) operation. Ideal for 1/8th conversions. The 2650 is 67mm long. 2200 KV – Intended for 6S (25.2 Volt) operation. 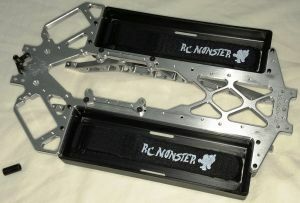 Incredible in monster trucks with up to 6S lipo packs. The 2200 is 75mm long. This is the bad boy! 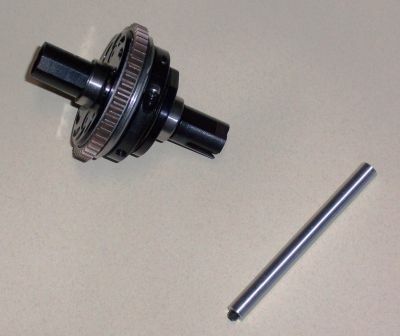 Both motors come with a Neo rotor on a 5mm shaft as standard, not as an optional upgrade. 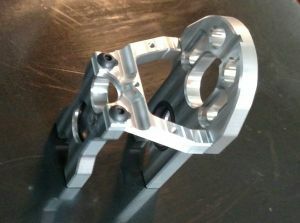 Castle uses high end bearings for trouble free operation, and we’ve machined integrated cooling fins for that extra bit of power. These motors are 4 pole, slotted, brushless motors wound with 1 turn in a Y configuration. "Motor or esc only "selections will not include box(every other one of course).